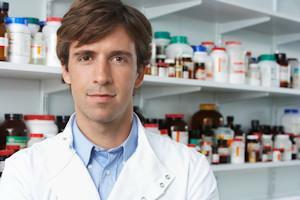 A man entered a drug store and asked to see the pharmacist. When the pharmacist came out, the man asked if he could give him a cure for the hiccups. The pharmacist immediately reached out and slapped him across the face. "No," the man replied, "but I'd bet that my wife out in the car still does!"